Top quality loose tea, premium pyramids, envelope. All you need! Cups, glasses, paper cups, accessories for alternative brewing methods and much more! 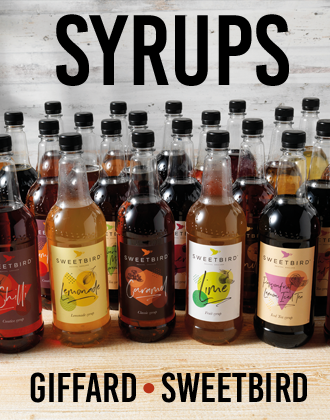 Check out the wide range of our additives: syrups, purees, smoothies, frappe, chocolates, chai, sauces or toppings.